In 1999, emergency room doctor Luanne Freer was invited on a volunteer medical mission to a remote Himalayan village in Nepal. Upon her group’s arrival, Freer was greeted by 600 villagers, many of whom had walked for days just to be seen at the clinic. Back in her home base of Montana, Freer found herself eager to return to Nepal.Three years later, while volunteering at a clinic in Pheriche, Nepal, Freer hiked to Everest Base Camp. She discovered that only a few of the climbing expedition teams there included doctors with high-altitude training. Freer, who had the requisite knowledge from her years working in the Northern Rockies, was even more dismayed to learn that the area’s native Sherpa and Rai populations were sometimes turned away by the foreign expeditions’ doctors. She was determined to find a way to provide better medical care to both climbers and the hundreds of Nepalese working on Everest.In the spring of 2003, Freer founded Everest E.R.—a small clinic at Base Camp that operates during the two-and-a-half-month climbing season. The clinic supplies free and heavily subsidized medical care to locals by charging climbing teams a nominal fee. During its first year, Freer dealt with malfunctioning equipment and flooding (in addition to freezing temperatures and no electricity). But the memory of the first life she saved—a Nepali porter dying of cerebral edema—brought her back the following year. Since then the clinic has continued to grow: In 2003 it treated 84 patients; in 2012 it saw 570. Today nearly every expedition relies on Everest E.R. for medical care. But Freer, 55, says her connections with the local people are the greatest reward of all. 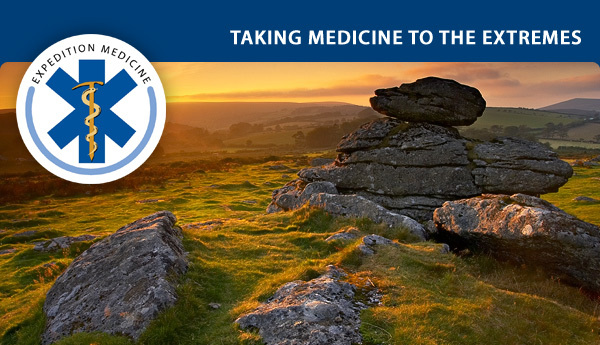 With the weather forecast making Dartmoor one of Britain’s most stunning areas there hasn’t been a better time to attend an Expedition Medicine course making best use of it natural beauty as an outdoor classroom. Cost includes all accommodation & food and VAT. Highly acclaimed course set deep in pristine rainforest – not for the faint-hearted!! 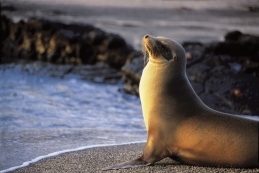 A unique educational course capturing three distinct but overlapping areas of remote and wilderness medicine, Conservation medicine focuses on the inter relationships of human health, animal health and the health of the environment. Join us from 13th -22nd December 2013 aboard the National Geographic Endeavour, a state of the art expedition ship for a CME accredited medical conference led by Dr Luanne Freer. Dr Freer is the Medical Director of Yellowstone National Park, ex President of the Wilderness Medical Society and subject of the documentary ‘Everest ER’ which features her work running the field hospital at Everest Base Camp. You will also travel with an Expedition Leader, and a team of naturalists, who are amazing experts in their own right, and consequently offer a superb environment from which to explore this incredible region. Now that budgets have been confirmed and thanks to the most generous support of the National Guard and the Boston Authorities we have been able to substantially reduce the cost of the pre-conference workshop. In response to the tragic Boston Bombing and the fact that we have some of the preeminent experts in pre hospital care on site we are running a TRAUMA and PRE HOSPITAL CARE workshop on the weekend prior to the conference. An AMREF shift comes to an end…. BA flight 060 has left Nairobi and I’m once again in the African skies. But this time I am not in my own private jet and I will not be retrieving some unfortunate soul from the depths of the continent. My time with AMREF Flying Doctors has come to an end and I will soon be back on home soil in Heathrow. The time has streamed by in steady flow of little adventures that, no sooner had I started to reflect on one, I was whisked off on another. come. I’ve thoroughly enjoyed writing the stories and I’m really chuffed so many of you have enjoyed reading them. To date over 7000 people have read these posts and I find it hard to believe my mother was responsible for all of them! I would love to continue writing them but life as an emergency physician in St Mary’s hospital is less conducive to attention grabbing headlines. ‘Woman gets offended when told her sore throat is not an emergency’ is just not as exciting as ‘Buffalo attack wake up call’. Countries visited – Iraq, UAE, Sudan, South Sudan, Ethiopia, Djibouti, Somalia, DRCongo, Uganda, Rwanda, Burundi, Tanzania, Chad, Zanzibar, Madagascar, South Africa and all over Kenya. 73,000 miles flown, which is nearly three times around the world. My work as a volunteer has provided over $33,000 USD which has been saved by the charity. It has been an exceptional time, providing me with some of the most heartwarming, bizarre, frustrating, terrifying and challenging medical experiences of my life. I’ve learnt a huge amount as a clinician. I’ve learnt about teamwork and timework, suffering and salvation, injustice and incompetence, African cultures and corruption. I’ve been so privileged to be involved in some of these stories and would urge any of you, who have the appropriate skills, to seriously think about taking this job on. I would imagine this is my last post for AMREF Flying Doctors and thanks again for following the blog. It’s been emotional. Extreme Medicine ’13 is privileged to be holding this in association with Harvard Medical School and the Harvard-Affiliated Fellowship in Disaster Medicine and Emergency Management. Building on the success of the 2012 conference at the Royal Society of Medicine this years conference has a number of additional concurrent sessions and, as a result of the unfortunate happenings at 2013 Boston Marathon and with the full and complete backing of a number of local emergency service organisations, the conference will also feature a pre- conference Trauma Management Workshop for which conference attendees receive a substantial discount. To stay that you don’t want to miss this conference would be an understatement! Thursday Evening 7.30 – 10.00, Beth Israel Deaconess Medical Center: An chance to show off your images, movies and stories – like a mini extreme medicine film festival! Spaces are limited so please register your interest with Steve Woods by following this email link…. In response to the tragic Boston Bombing and the fact that we have some of the preeminent experts in pre hospital care on site we are running a TRAUMA workshop on the weekend prior to the conference. The final details are being ironed out but we hope to have these with you very soon. For those of you who have booked on the conference you can prebook your place on this workshop at a conference discount of 15% by following this link…. Delegate Deals! The New England Aquarium, which has an iMax and show lots of different nature/extreme environment films, is offering delegates a reduced entry fee. The Odyssey, offering a dinner boat cruise around Boston Harbor is also offering special delegates rates. A call for submissions: The International World Extreme Medicine Conference and EXPO 2013 is calling for abstracts from university wilderness medical societies (or equivalent) or university medical students with an interest in extreme medicine. To find more details and how to apply please follow this link…. In the extreme conditions of Everest’s Base Camp, Luanne Freer, MD, cares for a neglected population. In 1999, emergency room doctor Luanne Freer was invited on a volunteer medical mission to a remote Himalayan village in Nepal. Upon her group’s arrival, Freer was greeted by 600 villagers, many of whom had walked for days just to be seen at the clinic. “They were lacking basic healthcare,” Freer says. “I felt like I could offer something meaningful.” Back in her home base of Montana, Freer found herself eager to return to Nepal. Three years later, while volunteering at a clinic in Pheriche, Nepal, Freer hiked to Everest Base Camp. She discovered that only a few of the climbing expedition teams there included doctors with high-altitude training. Freer, who had the requisite knowledge from her years working in the Northern Rockies, was even more dismayed to learn that the area’s native Sherpa and Rai populations were sometimes turned away by the foreign expeditions’ doctors. She was determined to find a way to provide better medical care to both climbers and the hundreds of Nepalese working on Everest. The winner will receive a £50 Amazon voucher courtesy of EWM & US$150 off entry to Extreme Medicine 2013. *Terms & Conditions apply see below for details.. Copyright in all images submitted for this competition remains with the respective entrants. However, in consideration of their providing the Competition, each entrant grants a worldwide, irrevocable, perpetual licence to EWM to feature any or all of the submitted images in any of their publications, their website and/or in any promotional material connected to this competition. Are you a Hospital Resident??? The conference will deliver 4 days of knowledge, insight and innovation in the field of remote medicine including pre-hospital medicine, expedition medicine, disaster medicine and other ‘extreme’ medicine fields. Delivering these messages will be speakers who are the global leaders in remote extreme medicine, ideally placed to provide expert knowledge transfer to you, our delegates. Over the past ten years the care of casualties has significantly improved. Often this has been driven forward by conflict, the exponential rise in natural disasters and our capacity to respond on an international scale. All of this, concomitant with a growing interest in remote and expedition medicine, triggered the need for an extreme medicine conference. Developed specifically with physicians, fellows and residents in mind, the World Extreme Medicine Conference and Expo will also be of interest to allied health professionals (nurses, EMTs and paramedics) as well as accessible for medical students – all with discounted rates. The International World Extreme Medicine Conference and Expo 2013 will host some of the very best speakers from around the world, who are amongst the leading figures in remote extreme medicine fields, including expedition and wilderness, pre-hospital, disaster, and relief medicine. Alongside the daily lecture series will be exhibitions from focused industry leaders, showcasing products and services to meet your extreme medicine needs. **’This activity has been planned and implemented in accordance with the Essential Areas and Policies of the Accreditation Council for Continuing Medical Education through the joint sponsorship of the Wilderness Medical Society and Expedition Medicine. The Wilderness Medical Society is accredited by the ACCME to provide continuing medical education for physicians. The Wilderness Medical Society designates this educational activity for a maximum of 31.75 AMA PRA Category 1 Credits TM. Each physician should only claim credit commensurate with the extent of their participation in the activity’. Marty was incredibly proud to climb together with Denali and share his passion for the mountains with him – I was looking forward to meeting Denali one day here in New Zealand. Instead we have to come to grips with this enormous tragedy. I wish everybody who knew Marty and/or Denali strength to deal with this loss. There’s no doubt in my mind that they both want us to continue to enjoy the beautiful mountains and pursue great adventures. The next time I’m heading out there, I’ll be thinking of you guys.